You will start off your trip when you get down at the Delhi IGI Airport / Delhi Railway station. You will head straight to Shimla. Do not forget to miss the scintillating views of the trip. Get down at the Queen of hills. Irrespective you are with your friends group, families, and school group. Shimla is going to turn out to be a cracker of a place. Check in at your respective hotels. Push off for some heavy dinner and go off to sleep. Next day could turn out to be one of the best days of your life. This day after stuffing yourself with some heavy breakfast, you will visit some of the most beautiful places nearby Shimlai.e. Kufri, Fagu, Naldhera, Chail. Kufri- Trust me it’s a cracker of a place, especially if you are with kids this place is going to make their day. Kufri is home to some exciting winter sports activities. You can experience and take best out of it. Fagu- It’s a beautiful place which is richly surrounded by flora and fauna. You get to witness some amazing views of the mountains. So do not miss out on the opportunity to miss the views. Naldhera- It is popularly known for its 9 hole golf course. It is home to a beautiful golf course. Please your eyes with some excellent views of the golf course. You can enjoy a ride on the caddy to. Chail- First and the foremost thing that comes to my mind is the cricket ground of Chail. Believe me the cricket ground of the place can leave you dumbstruck. Chail is home to world’s highest cricket ground. After visiting all these wonderful places one by one you will head to your hotel. Grab some heavy dinner. The best thing about tour package there are people in good number so it’s always fun. The next day you will head to the heart of the state i.e. Manali. After having your lip smacking breakfast you will start for Shimla to Manali trip. Manali is a place which has gained a lot of popularity in few years. 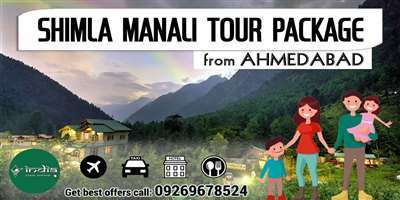 You will reach Manali and head straight to the hotel. After checking in at the hotel, get out and stroll on the Mall road. It’s the most happening place in Manali. Just sit down and enjoy the weather of Manali. The cold breeze, the air everything is just perfect about the place. After eating some specialties of Himachal region you will head to Solang, Kothi, Rahala, and Gulaba. It would be a wonderful experience for you visiting so many places in just one day. You will start off your trip with Solang. Solang- It’s a ripper of a place for those who love thrills. Solang is nothing short of a dream destination for the tourists. You can try out some thrilling adventure activities. The best part is you get to play with snow. It’s so much fun to play with your families or friends when you are onto a tour package. Kothi- Kothi is the best place on can look for. It helps you get a wonderful view of the mountains and of the Beas River. This is for sure a place which can offer you solace. So you cannot afford to miss out on this place. Rahala- Manali is a place which is nothing short of surprises. So is this place Rahala waterfalls. It is a place on which anyone can count. Families, Friends and Groups can have the best experience of their life here. So hang out to the place for a while and enjoy the waterfall. Gulaba- This would be the last place to visit for the day. Gulaba is a place which is on the way when you visit Rohtang Pass. It is place which receives heavy rainfall. You can enjoy your hearts out there. This would bring an end to the day with this place. Then you push off to your hotel after Gulaba. Stuff yourself with some lip smacking dishes. Then relax and next day you will be heading to Naggar, Kullu and Manikaran. This day will be dedicated to some of the cream places in Kullu Manali. Before starting off with anything you will have a gala breakfast and the start your day. Naggar- Starting your trip with Naggar it is one of the most sort after villages in Manali. Naggar is home to many temples. You can pay you visit to the temples and satisfy your souls. Then next after visiting Naggar you will visit Kullu. Kullu- It is the sister town of Manali. The best thing about the place is its lush greenery. For nature lovers this place is a dream come true for sure. One of the top notch places to visit in Himachal. Manikaran- Manikaran is one of the holiest places in Himachal. It is for both Hindus and Sikhs. The best part is it also very famous for its hot springs. It is believed by a person that if one takes a dip in the hot spring water it can cure diseases and muscle pains. So all in all it is a place which cannot be missed. After having a wonderful trip to these beautiful places you will head to your hotel. You can gorge on some delicious dinner. Next day would be a dedicated to the holy temples. So be ready to get your souls purified. After having a heavy and delectable breakfast, your trip for temples will begin. Today you will be visiting some of the very renowned temples which are Hadimba Temple, Manu Temple, and Vasisth Kund etc. You will be starting your trip journey from Hadimba Temple. Hadimba Temple- It is a beautiful and one of the most eminent temples in Himachal. Hadimba temple is dedicated to the Hidimbi Devi. The temple is embedded by cedar forests. Manu Temple- The temple is staunched to the sage Manu, who is said to be the creator of the world. The main attraction of this temple is it is the only temple in India which is dedicated to the sage Manu. Due to this it is a crowd puller. Vasisth Kund- Vasisth Kund is known for its hot water springs. It is believed that the hot water springs is able to cure diseases and other infections. It is a beautiful Kund which can revivify your soul. So after having a wonderful trip to these places, it would be time to take a leave. You will be heading straight to the bus stand where you will catch your bus for Delhi. This trip with amazing memories and experiences will come to an end. You will reach the capital city and then you will be guided to airport/station. So finally it would be the time to bid adieu to your indelible trip. Shimla and Manali are places which can help you discover some wonderful things. So please do not miss out on the trip if it’s a trip to Himachal specially. ver the years there are many people coming from abroad to visit Shimla and Manali. It is a top rated hill station for Indian as well as for abroad people. 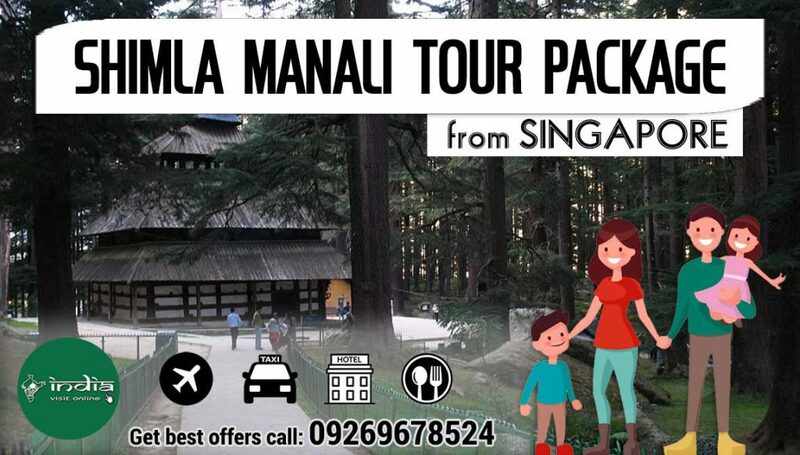 Shimla Manali tour package from Singapore can be completed easily via flight and with ease. You can book the package within minutes and that too at an affordable rate. So make sure you book a package and enjoy your heart out there. There are many recreational activities in which you can indulge and make your day super awesome. The things one has to keep in mind before visiting Shimla and Manali is the season. During summers Shimla and Manali are jam packed by tourists. The chance of booking a package becomes low. So keep in mind if you’re planning for Shimla and Manali in summer then book in advance to avoid chaos at the end. The road trip through which one goes to Shimla and Manali is awesome. The scenes of the place are scintillating and at the same time jaw dropping. You cannot afford to miss out on the scenes of the place. Going for Shimla Manali tour with your colleague can add more beauty to your trip. The aura of the place is totally different and engaging. This is the reason which compels people from abroad to visit Shimla and Manali in big numbers. So without much delay plan a trip to Manali and Shimla at the earliest to grab some good deals too and make sure you make your trip count by adding some wonderful short trips around Shimla and Manali as well. Plan it with your colleagues and book everything well in advance so that there is no chaos at the end. Fill out this form and receive special offers for Himachal, Kerala or Goa Holidays. I would highly recommend Snowpark Resort as a gorgeous holiday resort and also as a beautiful honeymoon location. Everything all fell into place perfectly. They provided us a faultless service. A brilliant idea to start off with, the system itself is easy to use, highly flexible, and customisable. Indiavisitonline rohtang pass tour was well planned and managed. From the initial stages i.e. booking to visiting different places the responsible personnel were very cooperative and detailed everything to the required information. If you are looking for a fantastically executed service that will be a breeze to do, bring a smile to your faces and also make the honeymoon unforgettable look no further. Would love to say we would recommended Indiavisitonline again but alas weddings are a once in a lifetime thing as are honeymoons. The manali hotels food was fantastic and the staff were friendly and accomodative! The last tour days was beautiful and unforgettable ! Overall A+ vacation!Thank you again for always showing us such a wonderful vacation! Transportation and transfers were also great! We took full advantage of having the hillfront suite. The cost was worth the stay at Manali. If you are looking for a romani hotel feel Glacier resort is where you want to stay. Services was delicious. A bit pricey but you get what you pay for. I just wanted to say that your website indiavisitonline is incredible. I haven’t ever come across such an easy, user friendly and effective website before. Your response to queries was fast and informative without any hitches. Our honeymoon was a blast, a lot of which is down to you. We were pleased to find that all the charm that wooed us the first time still remained and even some of our favorite staff were still there and still on great form. Manali tour was great! We told indiavisitonline exactly what we wanted and by the next morning we had our itinerary ready for us in our emails. It was the perfect honeymoon in the most beautiful place in the world. Thanks – and more importantly You made it a trip to remember! Shimla Manali was the most awesome wedding and honeymoon location we could have ever found in India. The resort is intimate and personal. The food is amazing, not what you would expect from an all inclusive (normally a buffet). The staff is so wonderfully friendly and there is no detail that is missed. We will always cherish our wonderful memories for this amazing piece of paradise. Its nice, we want to thank you (indiavisitonline) so much for all your assistance with our honeymoon. and I can say without a doubt that Glacier resort was the best place I have ever stayed. You gave me every possible way to reach you, even your home phone number. That is true customer service. You should be very proud of yourself. So...if you do more than just Honeymoons, I would love deal with you again. Basically we will need to see what we will need to save up. Thanks Once again. GREAT!! Words cannot describe how amazing our trip was in the God Lands... we would have never gone to this paradise without the help of IndiaVisitOnline. Your staff are the good knowledgeable, I have found anywhere and will always book my future journey with the friendly traveled agents at IVO, thank you ! ! Indiavisitonline! Wonderful travel agency! Nicely fantastic when it came to planning our Shimla honeymoon. They helped us plan a luxury or beautiful honeymoon (2nd anniversary trips), we got an excellent honeymoon package that included a lot of extras. And they made some other recommnedations within our price point, but we ended up sticking with our original choice. We got everything we paid for. I would definitely recommend indiavisitonline to anyone planning a Shimla honeymoon. Thank you IVO for all of your help! Hello, friends, If you want the best in planning your honeymoon destination, then call Indiavisitonline Travel. They took care of all of your arrangements and offer an INCREDIBLE deal for such a luxury hotel/resort. I needed to plan a honeymoon for my wife and I explained IVO tour operators to what I was looking for and my price range. Thank you so much for arranging such a terrific resort package. I am truly appreciative for their worked and all they did to make our honeymoon so memorable. 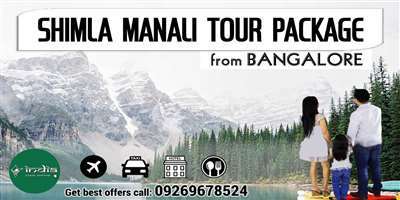 I would suggest indiavisitonline to anyone looking for MANALI travel agents. Indiavisitonline Honeymoons help us book our great manali honeymoon last minute just after my wedding. Really they took care of travel arrangements and have positive things to say about their experience. We initially wanted to go to places like ROHTANG POINT but the time was just not right to go there(heavy snowfall). To be honest, I think we could have not found a better deal if we had done it on our own...! All the indiavisitonline team help us book our honeymoon since we had delayed the planning process and needed to book quick. Ultimately we had an incredible time, something that we will never forget. They offered best possible deal with a great meal plan and put us in great hotels based on our needs/wants and budget. Thank You Mehul and the staff for an Unforgettable Honeymoon. My husband and I joined indiavisitonline to plan our dream honeymoon, and this vendor is amazing! we are so thankful them. really took the time to hear what we were interested in and made the best recommendations that fit. I am completely happy that indiavisitonline a great vendor to help us with our tour planning process from Delhi. The hotels, we booked were excellent and We were able to just relax and enjoy each tour point we visited! Highly Recommended!! We have a great experience using indiavisitonline Honeymoons. Each time we contacted our travel agent, he/she was friendly, helpful, and responsive. We booked our honeymoon Delhi to Shimla-Manali, It was wonderful, and Unforgettable, amazing hotels in great hilly locations throughout the trip. Thankkfully, they saved us the planning headache and hassle from having to figure out how to hire taxis and getting to Volvo. Truely, the whole touring process very easy so we could focus on our honeymoon and enjoying everyting ourselves! Indiavisitonline, great value for the excellent quality and service. Finally, accept my appreciation to your team. We have been advantages to travel to Manali several times and this time we wanted to visit Manali + Shimla. On previous trips I spent hours finding hotels, sites to visit and making all the reservations. Indiavisitonline operators communicated by email frequently with suggestions and clarifications. They sent us a personalized book of our honeymoon trip itinerary, specially tabbed and organized with all our accommodations, and Delhi Volvo bus tickets or tour contacts. We enjoyed shimla rainfalls, picturesque shimla towns. I would highly recommend Indiavisitonline services to others. Hopefully we will get back to Shinmla Manali and use Indiavisitonline touring again. AMAZING experience! I am a traveling person and this trip to KULLU MANALI was the most exciting amazing trip, I have had, thank you very much to indiavisitonline. There is no way that we would have had the same experience if planned this manali trip ourselves. Indiavisitonline treated us best thing we have treated ourselves! Great job indiavisitonline! We have worked with many travel providers in India last four years and not a single organization had provided this level of support, customization, and professionalism. IndianVisaOnline were very patient in dealing with me and did everything that I asked so thanks for making it so easy. Tour schedule completely seamless and the ladies loved every Manali tour. We had an absolutely fantastic trip to Kullu Manali. I just wanted to say THANK YOU !!! and I cannot say enough for everything you put together for us. OUR TRIP was above and beyond our expectations and Manali truly beautiful and magical and remarkable. Additionally, I would like to convey my great thanks to Miss Mamta, everything was planned perfectly. Thank you once again.